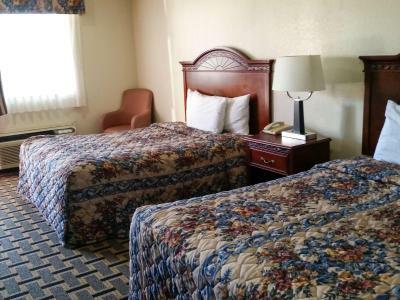 Lock in a great price for Motel 6 Atoka – rated 8.6 by recent guests! I was able to check in after 10:00 pm, my room was clean and inviting. Very comfortable atmosphere, I’ll definitely stay here for all my visit to Atoka Oklahoma. 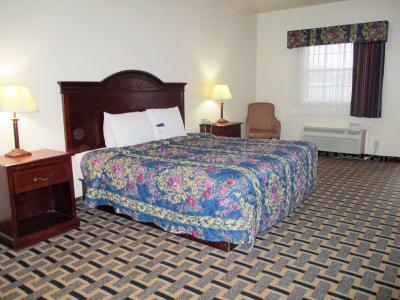 Clean spacious room, new carpet, nice shower, friendly staff. Staff was very helpful when we needed an extra room and an airbed for last minute guests. The staff is awesome and very understanding and the room was very clean! Large clean room. Large bathtub.king size bed, nice fluffy pillows.motel is in a great location, close to everywhere we needed to go. We are staying there again this coming weekend. Rooms were really comfortable to stay in. 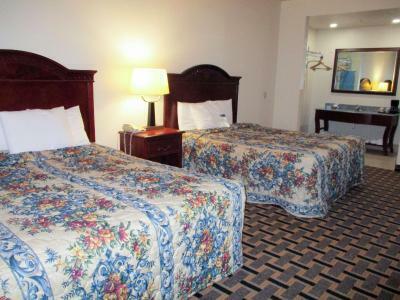 Beds were really comfortable, clean, and staff was friendly and helpful. 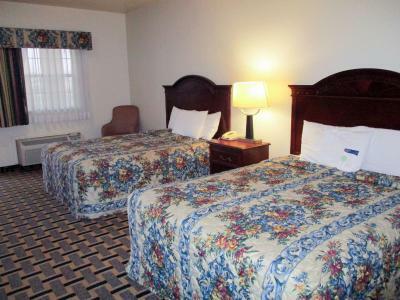 This is my go-to hotel in Atoka for value. 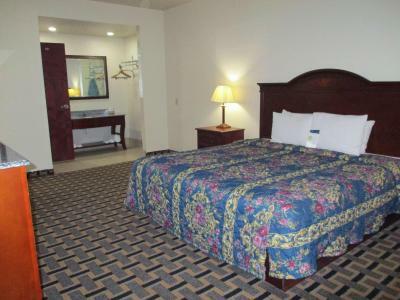 Comfortable bed, lighting good, clean facility, friendly front desk. Room was comfortable with a good bed. Lighting was good. Shower & bathroom were just what I expected. Staff were amazing. Parking is available. Room is clean and has everything you need. 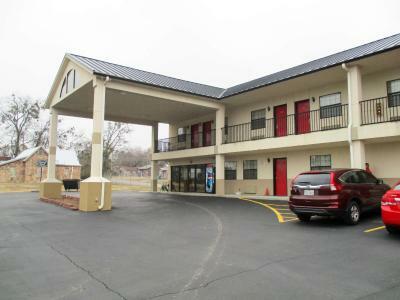 Motel 6 Atoka This rating is a reflection of how the property compares to the industry standard when it comes to price, facilities and services available. It's based on a self-evaluation by the property. Use this rating to help choose your stay! This Oklahoma motel is just 3.1 mi from fishing and boating at Atoka Lake. Free WiFi access is provided to guests. A TV with cable channels offers in-room entertainment at Motel 6 Atoka. Coin-operated machines are available in the motel’s convenient guest launderette. Vending machines provide a selection of soft drinks for purchase. The front desk is open 24-hours and has daily newspaper delivery. Boggy Depot State Park is within 20 minutes’ drive of Motel 6 Atoka. McGee Creek State Park is 22 mi away. 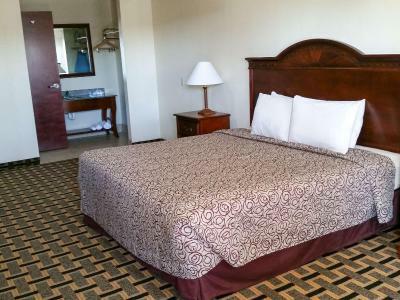 When would you like to stay at Motel 6 Atoka? House Rules Motel 6 Atoka takes special requests – add in the next step! Motel 6 Atoka accepts these cards and reserves the right to temporarily hold an amount prior to arrival. Beds are HARD AS A ROCK. This is my one and only single complaint. Everything else was great. Nice lady and a sweet little white dog. At 4 am I was awaken by sounded like loose metal banging on side of building. We did not sleep after that. I was in rm 119. Maybe just get new style blankets, they looked a little like the 90’s, but still were very clean. I honestly did not mind them. Noisy people in parking lot drinking beer late into night.